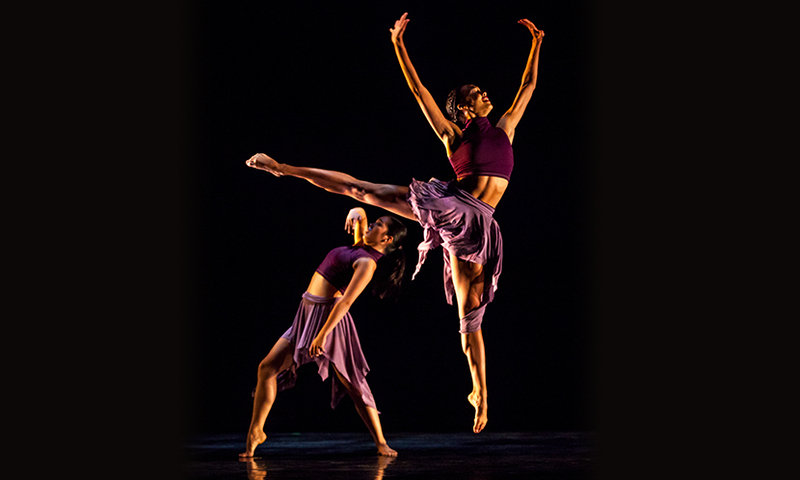 Every year, faculty choreographers, undergraduate dance majors, and dance graduate students create original choreography that is performed in one of our state of the art theatres. Our new Experimental Media Performance Lab provides opportunities for choreographers to explore the use of video and audience-performer relationship. The BFA in Choreography is one of the three undergraduate degree options. A concert of undergraduate choreography, Physical Graffiti, is produced by the department in May: any undergraduate dance major who has completed the first quarter of Choreography (Dance 60A) is welcome to audition choreography for inclusion in the concert. A second concert, Bare Bones, is produced and directed by the undergraduate dance majors themselves. An informal showing at the end of each quarter provides another venue for student choreography. The MFA students have opportunities to showcase their work in two formal concerts, New Slate (in December) and Dance Escape (in April). In addition, many graduate students choose to articulate their choreographic ideas in one of several shared thesis concerts in Spring of the students' second year. Graduate choreography is also presented in site-specific work, on video, in other technology projects, and in studio showings. Our creative atmosphere is led by faculty choreographers who create works for professional companies and venues nationally and internationally. The faculty also choreograph new work for our annual Dance Visions concert, which is performed by graduate and undergraduate dance majors. Dance Visions often includes a guest choreographer, whose work complements our diverse learning environment. Pictured: Chad Michael Hall, Assistant Professor of Dance, teaches a Modern IV class. Photo by Skye Schmidt.